The Unloved, Part 46: "The Mangler"
Confession: I'm trying to sell a book I wrote on Tobe Hooper right now. Publishers don't seem interested. That's fair I guess, the word on Hooper for so long has ranged from disdain to disinterest, so it's not at all surprising I can't seem to interest anyone in 150 pages of praise and analysis for films at which folks have shaken their heads and thrown up their hands for upwards of 30 years. Going as far back as "Eaten Alive," his swampy grindhouse follow up to "Texas Chain Saw Massacre," folks have been calling his masterpiece a fluke. A one-off. I can't help but get angry and defeated imagining what it must have been like for one of this country's most obviously talented filmmakers to continually get the short end of the stick, critically and commercially, as well as increasingly tiny budgets and canvases from producers. Even with Golan and Globus fitting the bill, even working for a tiny TV budget, even when making the first horror film in a country whose language he didn't speak, he gave his all stylistically. Just look at "The Mangler." 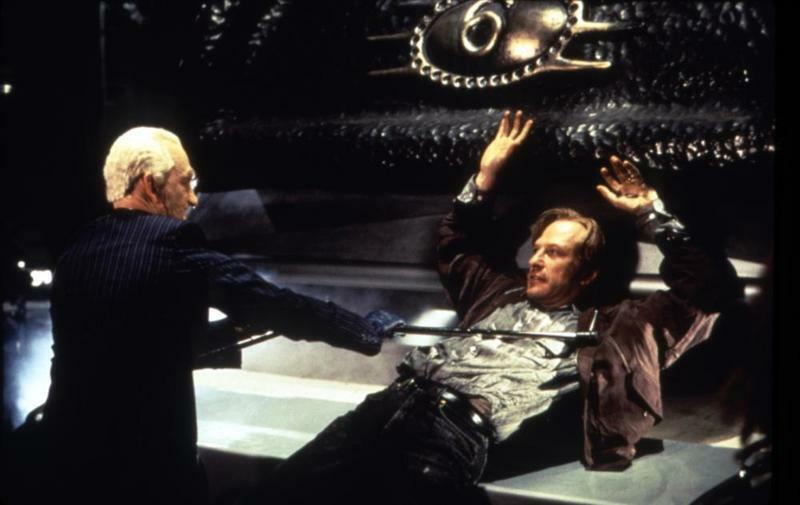 I discovered "The Mangler" because I found it dangling near the bottom of a dozen "worst movies ever made" lists in disreputable corners of the internet. Even now with "It" and "The Dark Tower" kicking up interest in Stephen King adaptations, go out and look at all the new rankings. You won't find one where "The Mangler" is out of the bottom 10. To me, it ranks up there with "Christine" and "The Shining," in that it's a stylistic representation of the director's obsessions, not just a boilerplate transposition of his text. There's plenty of those to go around. "The Mangler" is one of the florid expressions of Hooper's directorial flourishes. His gorgeous tracking and dolly shots, so deliberate, like watching a pop-up book open across the screen. His lighting, so vivid and alive, so active, even in still frames. His trademark stained-glass color pallet in the margins while bright blues and reds shock the viewer's eyes up front. His affection for Maya Deren-styled curly haired women in trouble. Aside: Hooper is one of the only horror directors to continually nod to Deren's work, most obviously in 1990's "I'm Dangerous Tonight," a ridiculously undervalued work on the expectations placed on women, also the subject of his final film, the excellent "Djinn." I selfishly want my book to be out where people can see his name next to Orson Welles and Abbas Kiarostami and Steven Spielberg in the cinema studies section and realize all these years that he was as talented and interesting as they were. That his films are worth scrutinizing, his story worth telling. That's all I wanted to do. He's gone now, I'll never get to tell him what his work meant to me, but my earnest hope with everything I do, critically, is to open up a conversation about respect for artists that don't get the niceties and accolades of their peers. The guys who don't get honorary Oscars, who don't get the Palme d'Or. Hooper never got to be that guy. But maybe someday, if we finally start to take his non-"Chain Saw" work seriously, he might be. I like to think film culture will be better for it. Then again, I'm a kid who saw "Texas Chain Saw" in 4th grade. I've loved the guy a long time. This is all I can give him. The Unloved - The Mangler from Scout Tafoya on Vimeo.